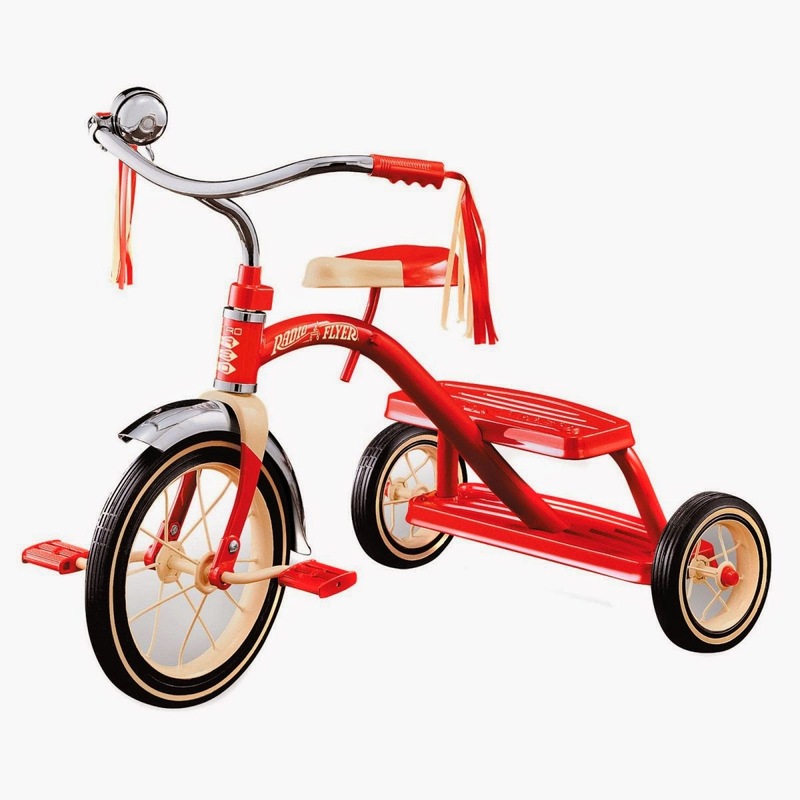 Home Humor Parenting Humor Parenting Tips It's BIG Boy Tricycle Time! It's BIG Boy Tricycle Time! My friends, it's time. It's time to buy my big boy a tricycle. I am excited and nervous at the same time. He jumped on our neighbors tricycle yesterday (Mel, if you are reading this, he broke into your backyard and stole it while I was talking to Mrs. Rose. You all were at Waterfront Wednesday! ), and after a little trial and error was off! I am not sure who was more proud that he figured out the whole peddling thing, me or him? What I do know is that when I told him it was time to go, he gave me the look of, Try and die lady... So after prying his body, one part at a time off of the thing, I promised that we could go buy one. I'm so excited to get him his first tricycle! However, it will not be the first ride the tricycle has ever had. We are going to comb the second hand kid stores today to find one. But before we do that, we are going to get him a fun helmet! My plan is to take him to the wall of kid helmets and let him pick out his favorite, then make a HUGE deal about how awesome it is, so he will be happy to wear it EVERY TIME he rides his tricycle. 2. Don't ride in the road, near a pool, around a construction site or nuclear plant. 3. Don't let your kid say, Peace Out, and turn the corner while you go back in the house. You know, the usual, don't-be-a-dumbass-parent tips. We are talking about a two-year-old and a tricycle, not a 16-year-old and a Porsche. Anyhoo.... we are off! I promise to Instagram all of the excitement of the day! So, if you want to follow along and are not following on Instagram or Facebook, GET ON IT! !